Royal Challengers Bangalore have been dogged by Murphy’s Law — ‘Everything that can go wrong, will go wrong’ — since the start of this season. Bowled out for 70 in the opening game of IPL-12, the slide has been relentless for Virat Kohli’s franchise. 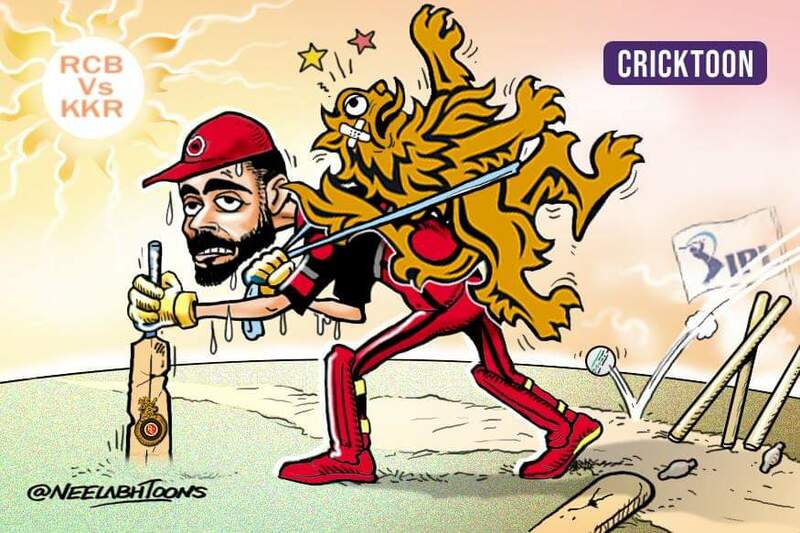 Earlier this week, in a clash of ‘wooden spooners’ RCB firmly emerged as the bottom-placed team so far with four defeats in four games. The road doesn’t get any easier for Bangalore from here on as they face impressive Kolkata Knight Riders at the Chinnaswamy Stadium in Bengaluru on Friday. KKR came very close to maintaining an unbeaten streak this season against the Delhi Capitals last weekend and were only eked out via a ‘Super Over’. The Dinesh Karthik-led side have done most things right this year and the X-factor for them has been West Indian all-rounder Andre Russell. The Jamaican powerhouse is averaging 79.5 this season but more importantly has a strike-rate of 248.43 coming lower down the order. Russell would relish the wayward stuff on offer by the RCB bowlers, who have struggled to keep any batting line-up in check. His form down the order has made up for inconsistent KKR top-order especially their opening combination. The RCB need urgent improvement in all departments of the game but primarily their batting and bowling. Barring Yuzvendra Chahal, none of the RCB bowlers have looked remotely threatening and skipper Kohli and AB de Villiers’ continued failures have hurt the side badly. The Bengaluru track is a batsmen’s paradise and KKR will be looking forward to another run-feast against RCB, who have already conceded 232 runs this season in a match to the Sunrisers Hyderabad. Andre Russell: The West Indian all-rounder hasn’t taken a backward step so far. In just three games he has managed to tally 15 sixes, most of them touching the stratosphere. In addition to that, he is also KKR’s highest wickettaker so far with five scalps, proving his all-round versatility. No total will be safe or out of bounds till Russell is in the middle. AB de Villiers: Apart from an unbeaten 70 against the Mumbai Indians, the South African’s cupboard has been fairly bare so far. De Villiers is capable of as much destruction as Russell if not more on any given day. The RCB need a bit of inspiration to turn their season around and ABD might just be the man to provide them that fillip. RCB: Australian all-rounder Nathan Coulter-Nile could be a good option to bolster the bowling attack along with Delhi left-arm seamer Kulwant Kejroliya to provide variety. KKR: Sunil Narine is the only injury concern for the side. Nikhil Naik opened in Narine’s absence but failed to impress. KKR may look at Shubman Gill as another opening option if Narine fails to recover.